Even though my love for getting ready for a night out is deep and true and pure and I like to take my time, that certainly doesn’t always happen. This video is case in point and rears it’s head towards the end as I am delicately clutching a lash letting the glue get tacky while highlighting my face… listen, it’s real life and I know we have all been there. 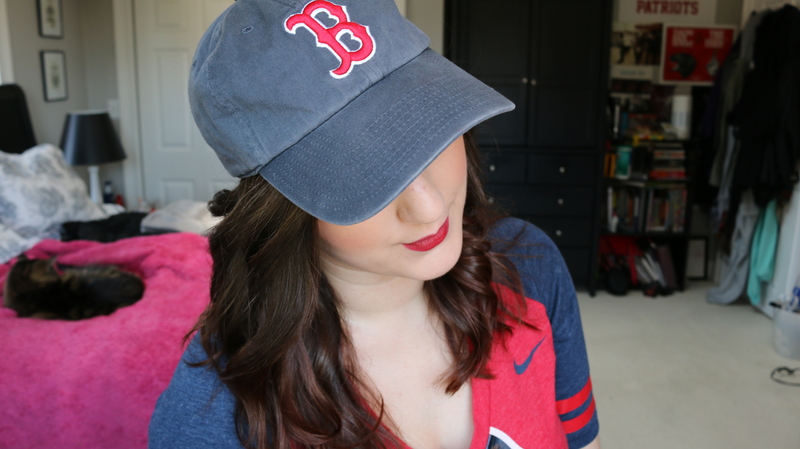 I really, really like the way the makeup turned out even though getting there wasn’t the most relaxing experience of my life. Let’s talk about the palette itself for a second, shall we? Shaaanxo has become a serious addiction for me over the last, I don’t know, maybe year. I watch her daily vlogs, regular beauty videos and follow her on Snapchat. I find her to be super talented, refreshingly honest, hardworking and also happens to be a dime. So when she released this palette, it was a no-brainer…I needed it and I needed it yesterday. The Good: As I mention in the video, many of the shadows remind me of Makeup Geek shades, which isn’t a bad thing. The colors are pretty and work well together. They especially come to life with some Fix+ spray. The Bad: I do have a couple complaints, however. I had a lot of fall out the first few times I used the shadows and still experience mild fall out but that’s not a deal breaker. I also wish there was a more neutral transition shade, as the mustard shade is a bit bright on my light skin for day to day wear. If there was a brown I would probably never use another palette again. The lipsticks are beautiful but do not appear in the lips as they do on the pan. 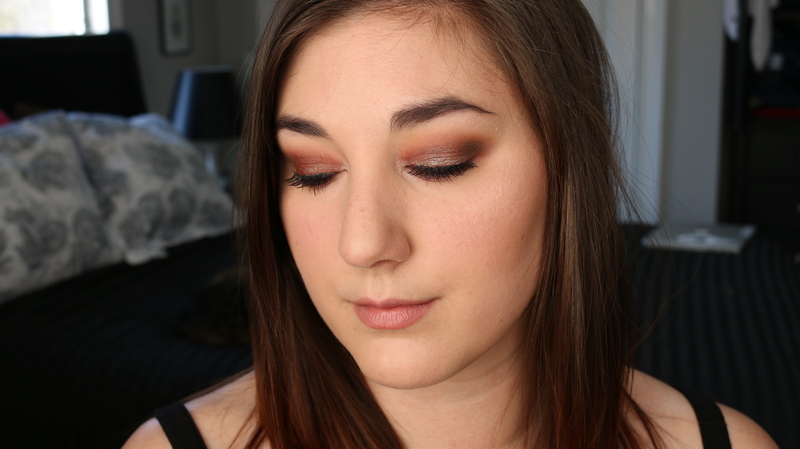 Loved creating this soft peachy look perfect for warmer weather using a couple shiny pretty products I was dying to use…Stila’s Magnificent Metal Eyes in Kitten and Makeup Geek’s In the Spotlight. I shamelessly watch Shaaanxo’s Vlogs every single day and she uses this Stila product often in the inner corner and it always looks incredible on her! I realized that I used waaaaaay too much on this day but whatever. 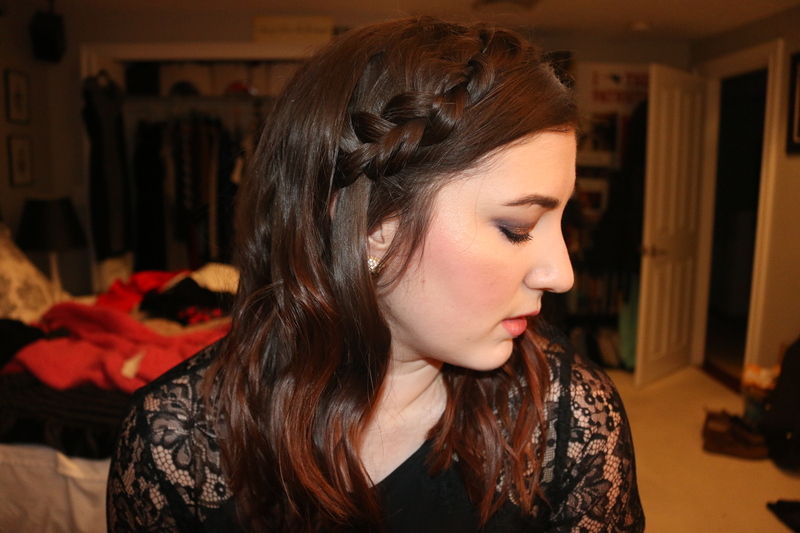 I also rocked what I like to call the Accidentally Aggressive Cat Eye. Whatcha gon’ do. 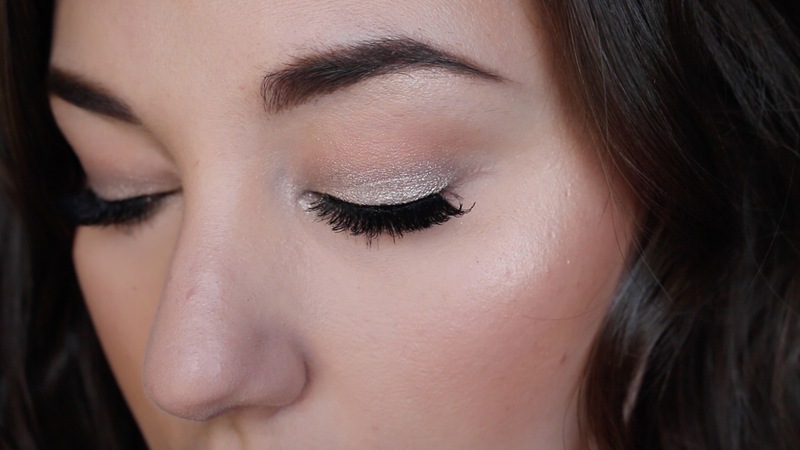 Another weekend, another Makeup Geek Sparkler to try out. I apologize for the redundancy but I only bought two of these babies and can’t pull them off in the workplace, so they have taken over my last couple uploads. But for good reason – they’re gorgeous! 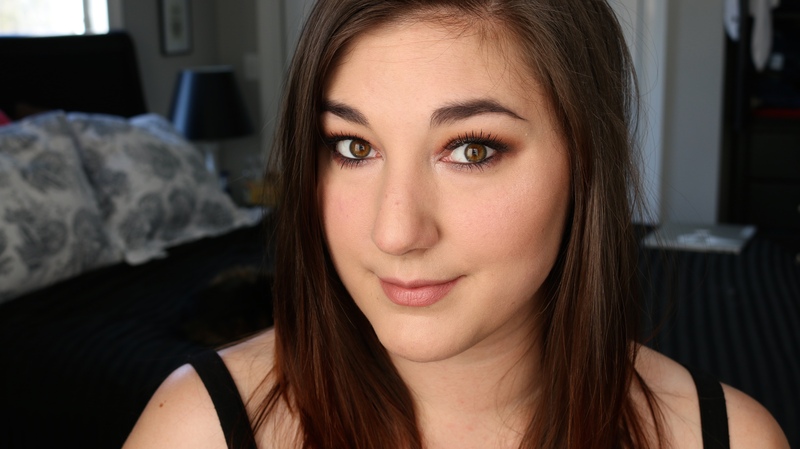 Enjoy this one, a purple smoky situation using Kat Von D’s new Shade + Light blush, and the Makeup Forever HD Foundation in liquid form rather than a stick – I made the switch and my dry skin is SO much happier! 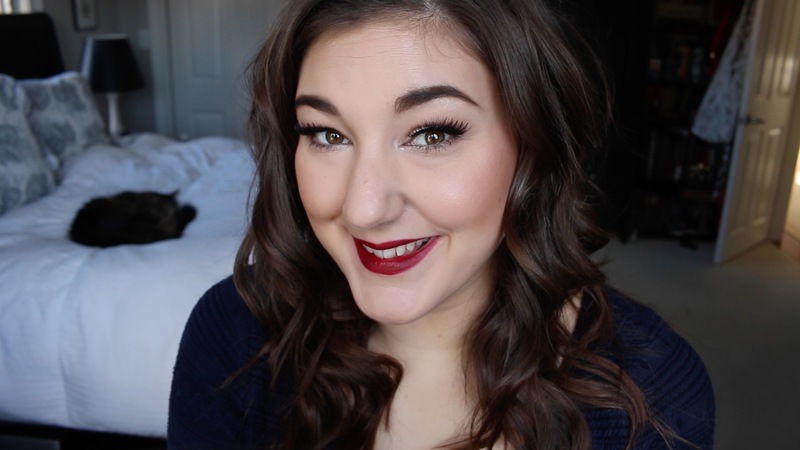 The red lip is a little played out for the holidays, am I right?! I mean, I won’t lie, I LOVE a bold red lip but sometimes we want to play up the eyes instead with a little green when you’re feeling festive. 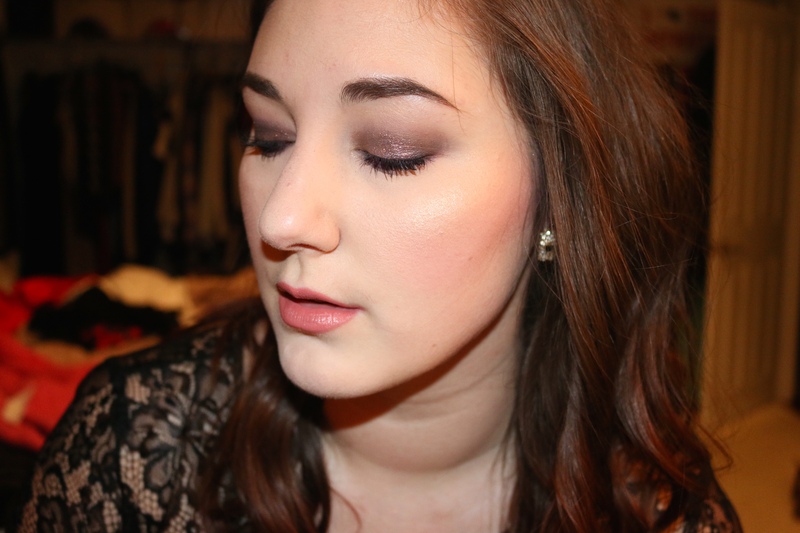 This look focuses on an insanely cheap eyeliner by NYC that I was actually gifted last year and it is gorgeous! Perfect for this look. 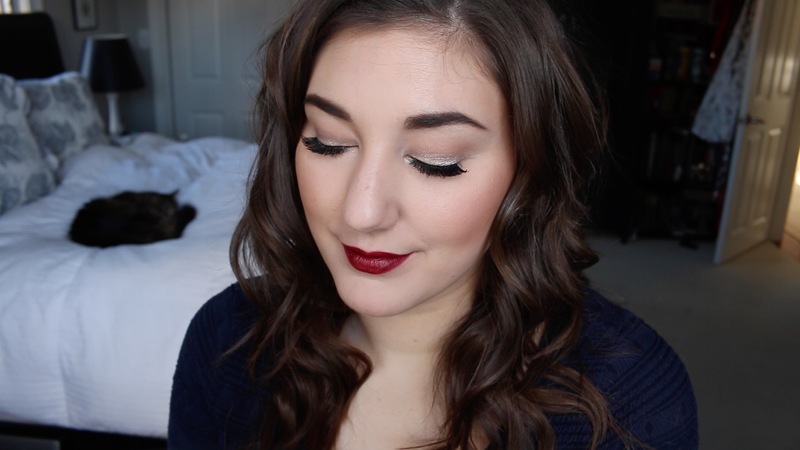 A couple of week ago I filmed this GRWM for a lunch date! I intended to go very light but you’ll see, it did not happen. The photo used for this post was from another date, as I genuinely didn’t have enough time to snap any pics for this post! But it is from a lunch date I had with my sister, hence the smile on the face.